BoingVert Review - Can It REALLY help YOU jump way higher?? 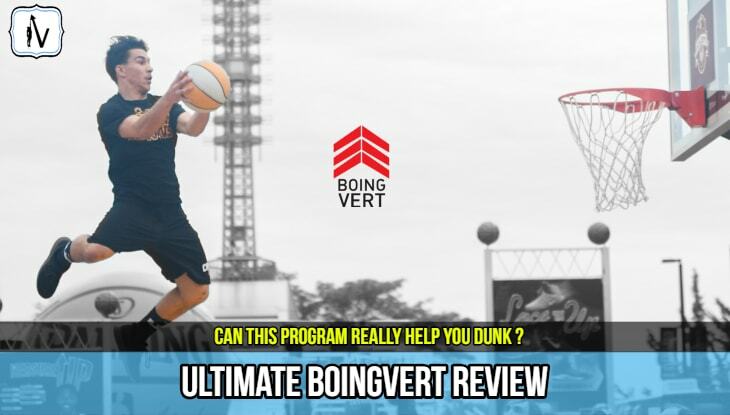 →BoingVert Review: Can BoingVert Really Help Boost Your Jump Height? BoingVert is a very interesting jump program, for a number of reasons. Firstly, there seems to be a number of people on social media claiming that they have been able to jump higher with the help of the program. However, there is very little information available online to verify their stories or even to gain an understanding of what the BoingVert program is all about. In addition to this the BoingVert website is terribly designed and a nightmare to navigate. However, you should never judge a book by it's cover, so I had to get my hands on a copy of BoingVert to take a closer inspection. To finally set the record straight on this "mysterious" program I purchased a copy of BoingVert and put it to the test. 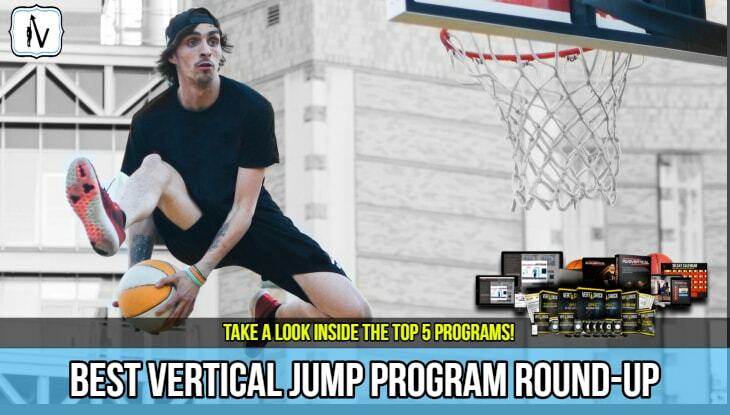 In this massive BoingVert review you will see exactly what is included in the program and how it compares to the best vertical jump programs currently available online. 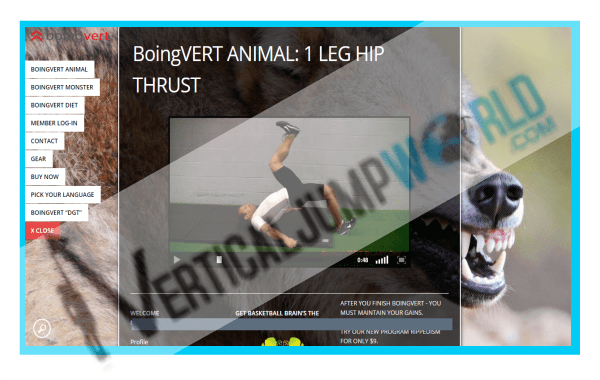 BoingVert Animal provides a nice introduction to plyometric jump training. BoingVert monster incorporates science based training principles in an effective manner. Be prepared to do a lot of reading if you decide to purchase this program! Unfortunately the program lacks the intuitive design that we love about other popular jump programs. BoingVert Animal and Monster feel very disjointed. Other programs do a much better job of combining their strength and plyometric components in a concise and engaging format. Overall the program feels like a half finished work in progress. I would definitely consider checking out these jump programs before purchasing BoingVert. BoingVert Review 2018 Update: How Does BoingVert Compare To Leading Jump Programs? Is BoingVert Legit and Can It Help You Jump Higher? What Is The BoingVert Program? What Does It Look Like Inside Of The BoingVert Jump Society Program? 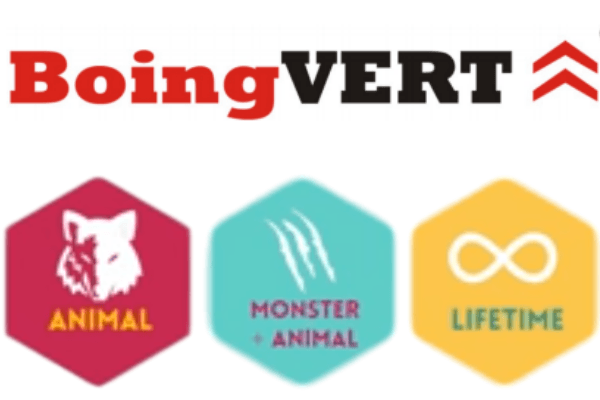 What Is The Difference Between BoingVert Animal, BoingVert Monster and BoingVert Lifetime? 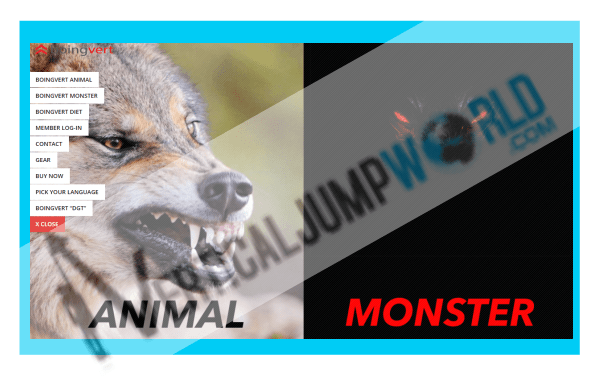 BoingVert Monster Vs The Jump Manual: Is BoingVert Good Enough To Compete With The G.O.A.T Jump Program? BoingVert Review Frequently Asked Questions? Very difficult to navigate and use when compared to other popular programs. Bodyweight only "Animal" program lacks focus. BoingVert Review 2019 Update: How Does BoingVert Compare To Leading Jump Programs? Popular jump programs that we have reviewed in the past have traditionally been very upfront with the actual content included in the program. We usually have a pretty good idea of exactly what we are purchasing. 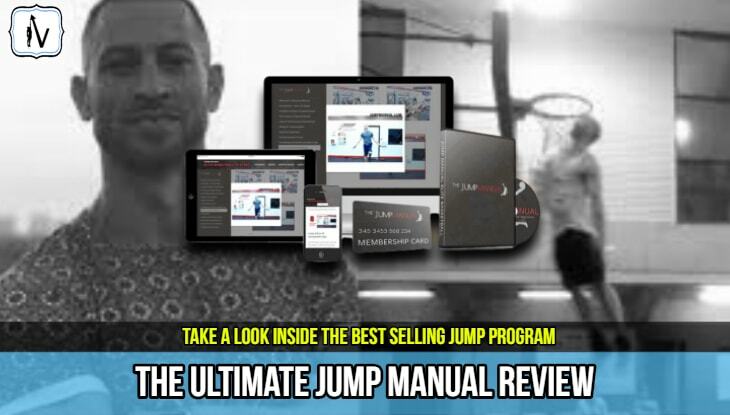 All time best selling jump program The ﻿﻿﻿﻿Jump Manual . 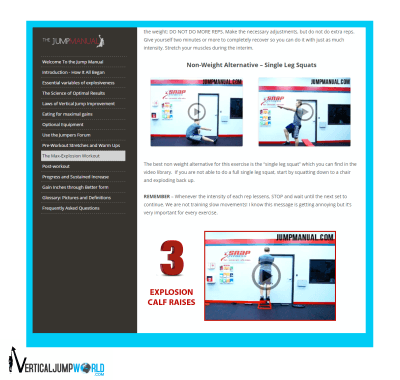 The very popular and effective body-weight only jump program Vert Shock . Both of these programs creators are very transparent in their approach to marketing of the program. However in contrast to these quality vertical jump programs, BoingVert is shrouded in mystery. From the website to online videos, it is extremely difficult for anyone to find out exactly what BoingVert is. Most people are exposed to the program through the BoingVert $7 offer via YouTube videos, which are very outdated and no longer available. ​It is also very difficult to track down any legitimate and certified BoingVert reviews and testimonials online. I am here to finally reveal the curtain on this enigmatic jump program. To ensure we deliver the best BoingVert review online I have purchased, tried, tested ALL VERSIONS of the BoingVert System. So can BoingVert live up to the hype and help you increase your vertical jump or is this program all "smoke and mirrors? What Will I Learn In This BoingVert Review? In this thorough BoingVert review we will investigate the quality of content provided in the program while comparing it to other leading jump programs. We will also show you inside the paid members area of BoingVert as we break down all components of the program individually. Our goal when producing this epic BoingVert review was to go through with a "fine tooth comb" and uncover every aspect of this intriguing program. "We hope you find our honest BoingVert review and product comparison helpful in allowing you to decide what truly is the very best jump program for you. 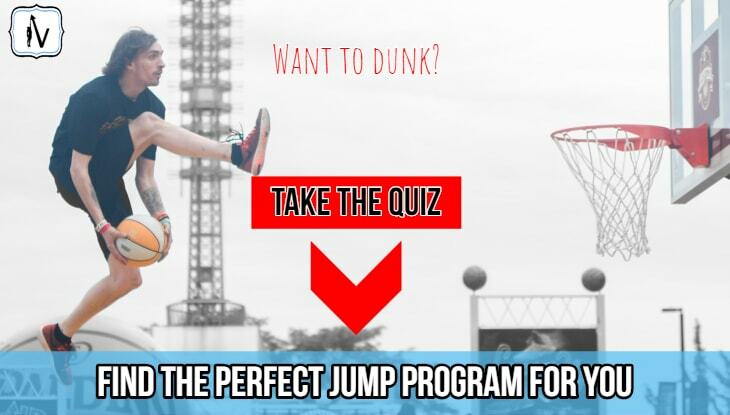 We simply lay out the facts so you can make an educated decision"
Shawn Myszkas Boing Vert Blastoff jump program fails to deliver the level of professionally polished quality content we have come to expect from the leading jump programs currently available. BoingVert Animal provides an excellent weight free workout routine and some nice plyometric exercises, but the poor presentation makes it a inferior option when compared to leading weight free programs, which is known for its intuitive and simple to follow design. 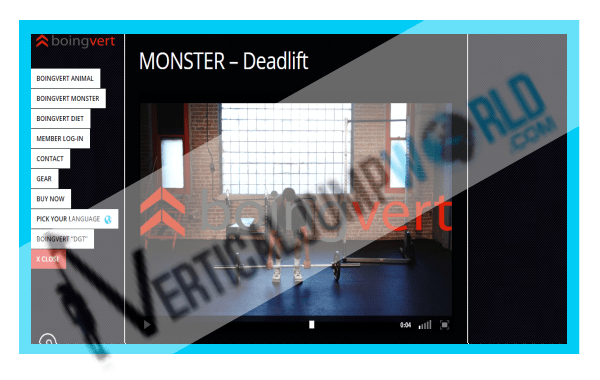 BoingVert attemps to teach you how to lift weights to jump higher in the Monster Program. Monster provides excellent information but in order to maximize results will need to be combined with BoingVert Animal. The problem is combining the two programs makes it super difficult to follow due to a massive disconnect between the two. Unfortunately the theory of co-current training is not explained. 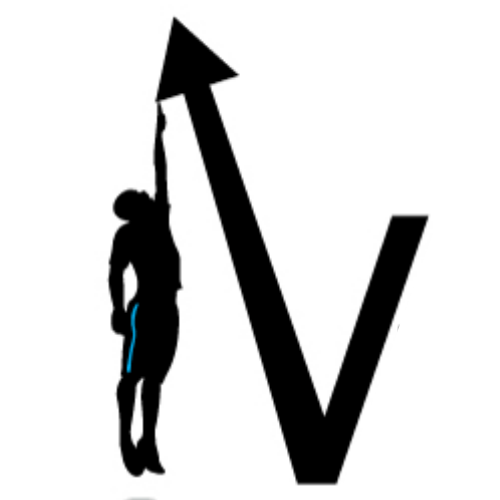 If you are after a program that does a great job of incorporating both weightlifting and plyometrics with the latest vertical jump training techniques then definitely take a look at Vert Shock. I think Vert Shock does a much better job at presenting complex shock training with weight training, in a very easy to follow manner. Plus the presentation of Vert Shock is much better than that of BoingVert. 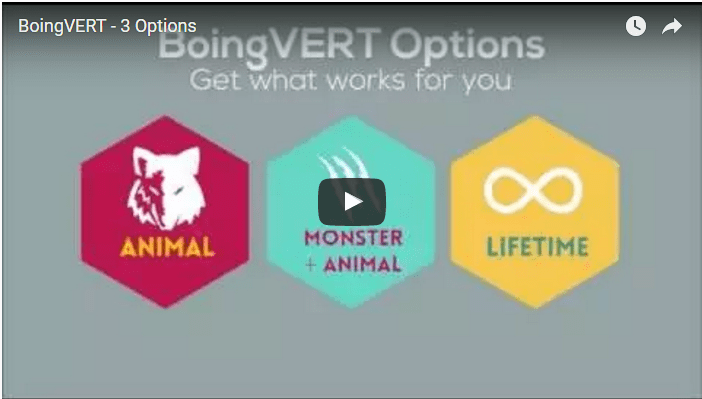 The BoingVert lifetime package (Animal,Monster and BoingVert App) makes the BoingVert Blastoff package a little more competitive with the ​premium jump programs on the market. The app makes the process of finding exercises and tracking and testing your vertical jump height a much more convenient and intuitive process. ​Unfortunately the BoingVert app is a little glitchy and needs some work. ​If you purchase the BoingVert lifetime package you will get all future upgrades and programs at no further cost. Therefor we recommend that if you do decide to purchase BoingVert, you should choose the lifetime package with the hope that future developments drastically improve this currently mediocre jump program. Vert Shock now offers an add-on strength training component that we believe supersedes that of BoingVert. ​The fact that Vert Shock offers a body weight only "shock training" component and an additional strength training option ​separately allows participants more control and customization over their program. This can be particularly valuable for athletes who would like to specifically increase their vertical jump in the pre or post season. 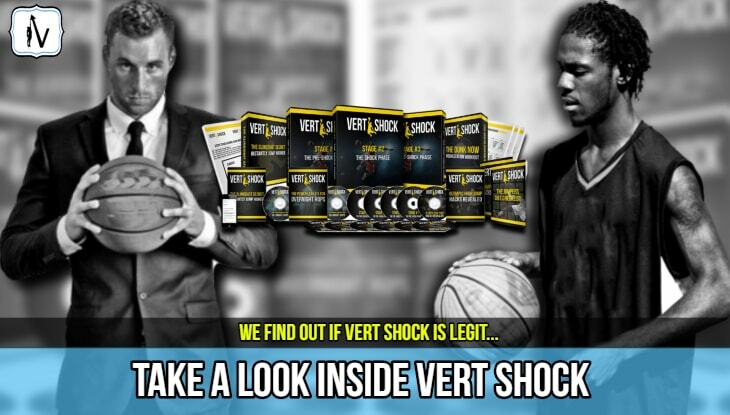 ​We also think Vert Shock is a much better fit for basketball players. After numerous requests we are proud to present our readers with this ultimate BoingVert review. BoingVert is a multifaceted vertical jump training system that is based on the latest scientific evidence in the field of jump enhancement. Enhancement of power transfer time in ground support phase of a plant and jump to a maximum force development. To determine if BoingVert is legit we investigated the clinically supported research that the program is developed on and are happy to say that it checks out. The team at BoingVert are so confident in their program that they guarantee results within the first 4 weeks or they give you your money back. We love it when authors stand by their products by offering a significant guarantee so readers can begin their journey of learning how to jump higher in a risk free manner. BoingVert Blastoff is actually a 2 Part System which consists of the Animal and Monster Programs (both can be purchased separately or as a package). 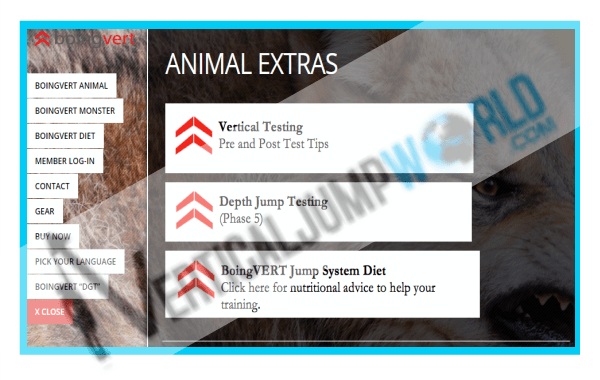 BoingVert Animal is essentially a weight free plyometric jump program. You don't need any vertical jump training equipment​ for this program. BoingVert Monster is essentially a strength and power training program that requires lifting of heavy weights. BoingVert is assumed to be designed so that BoingVert Animal and Monster can be followed individually or at the same time. Unfortunately the authors have failed to sufficiently explain how to best use these programs either co-currently or back to back. Regardless of this issue, the sum of the two programs aim to improve the force absorption capabilities of landing from a height. In fact BoingVert has incorporated certain scientific principles that increase landing absorption up to 8 times one's body weight. These principles are very much like those that proven programs such as the Jump Manual are based on. The developers of BoingVert claim that their exercises are unique however we found that most of the effective vertical jump exercises are also found in many of the leading jump programs. At the end of the day these exercises can be found all over the internet. However with this said, the true art and science of jump training lies in the exercise prescription and programming. As you will find out further along in this BoingVert review the science based prescription principles of Boingvert are excellent however it is the lack of intuitive workflow and professional design that sees this program fall short when compared to class leaders such as Vert Shock and The Jump Manual. The BoingVert system also emphasi​zes development of speed of movement. The BoingVert jump-specific tasks are designed to have the participant produce force in a very limited amounts of time. Jump height is ultimately determined by the velocity our bodies are able to attain at takeoff. If you read our Ultimate Guide To Jumping Higher you would know that speed is of much greater importance than strength for the attainment of a higher vertical in most beginner athletes. This is the reason why so many people are achieving impressive jump results on speed based plyometric programs such as Vert Shock. The BoingVERT Animal program engineered to increase the speed with which you take off when you jump. In fact this approach to jump training puts BoingVert Animal in direct competition with leading speed and plyo based program Vert Shock. BoingVert claims that their unique approach is that they focus on speed, and then strength. This is true only if you purchase both the Animal and Monster programs. However, what we found is that there's a disconnect between the two programs. In our BoingVert review we were pleased to see that the program emphasizes development of the correct jump-specific movement patterns. There is some great advice in the BoingVert manual that can really help develop vertical jump mastery. ​These tips and tricks help stimulate the neuromuscular system into learning proper jump movement patterns. Maximal effort jumping plays a major role in BoingVERT Jump System. So if you do decide to follow the BoingVert system be prepared to "BRING IT" every rep of every session. The BoingVert Jump Program is created by respected vertical jump trainers Shawn Myszka and Kelly Bagget. 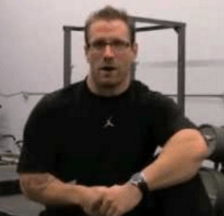 Shawn Myszka (MS, PES, CSCS*D) is the Pro Performance Director of Explosive Edge Athletics in Minneapolis, Minnesota, where he works directly with pro athletes in the development of sports performance. Shawn is a former competitive bodybuilder who specializes in power development. Kelley Bagget is the creator of the BoingVert Animal component of the program. You may know Kelley Baggett as the creator The Vertical Jump Bible. 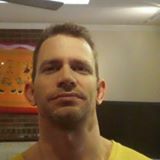 Mr Bagget has operated gyms in Texas and Arizona and has been coaching and researching vert training techniques for over a decade. 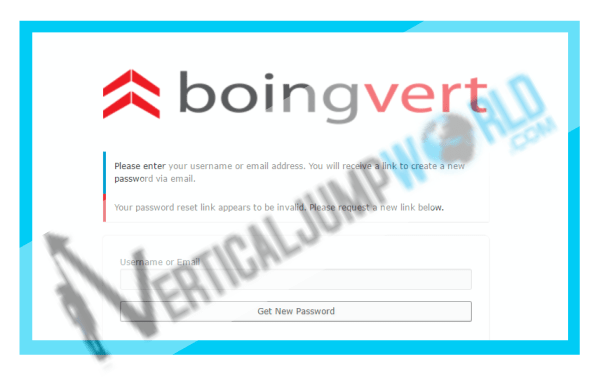 After you purchase the program you are sent an email by BoingVert support with a link to access the BoingVert Login page. Once you login to the BoingVert Society with your specific details you will gain direct access to the BoingVert download. In our case we purchased BoingVert lifetime so we have access to all products. We found the layout of the BoingVert program to be much more difficult to navigate when compared to proven programs such as The Jump Manual and VertShock. BoingVert Animal is a 16 week 4 phase program that requires no weightlifting. It is based on plyometric jump training and bounding with an emphasis on speed and maximal effort. 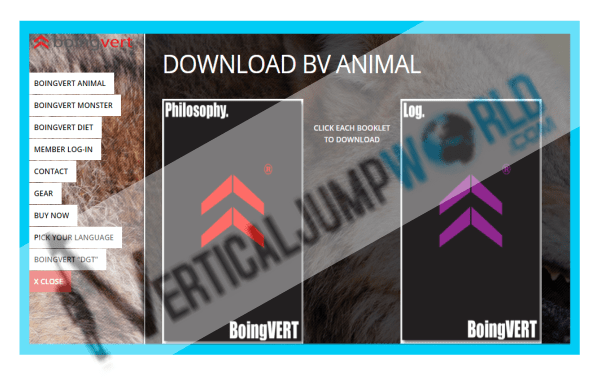 Once you purchase BoingVert Animal you can download The BoingVert PDF philosophy and the BoingVert pdf Workout Log. Basically the Philosophy pdf justifies the principles used in the log. Unfortunately there is a disconnect between the theory and workbook which is not an issue with other quality jump programs on the market. The BoingVert exercise videos are definitely the highlight of the program and stand up to the quality we have come to expect from other video based vert training programs. The exercises are explained in an easy to follow manner and descriptions are short and succinct. 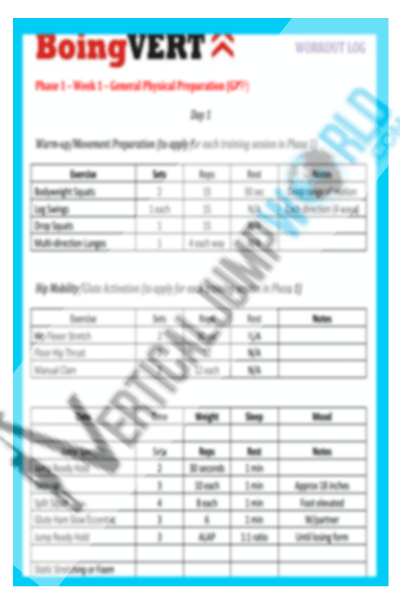 Print off the BoingVert workout pdf and follow the exercises day by day. 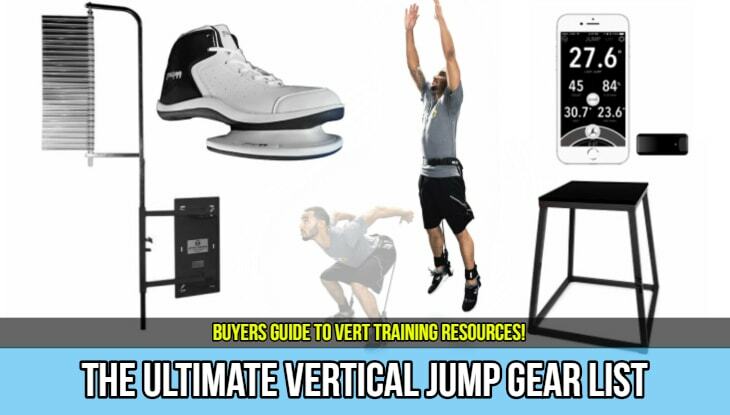 The system comes with some vertical jump testing tips that are quite helpful. Basically if you are after a weightlifting free jump program it comes down to 2 choices BoingVert Vs Vert Shock. Both programs offer very similar prescription of exercises and potential results. BoingVert Animal is cheaper at only $17 (as opposed to $134 for Vert Shock) but lacks the easy to follow engaging and professional nature of Vert Shock which keeps you coming back day after day. We believe this is a compelling factor to consider when purchasing a jump program. 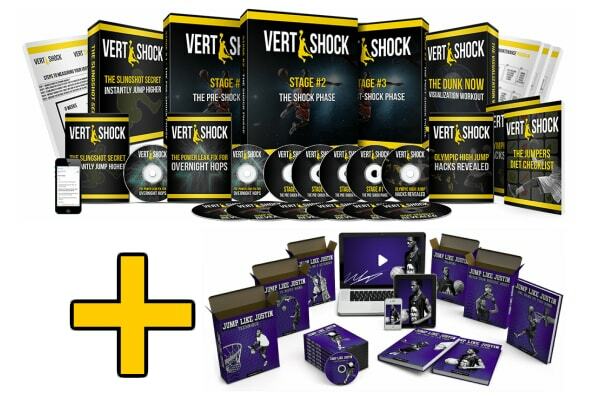 + BONUS GIFT OFFER: Get $330 of Vert Shock extras for FREE TODAY! Yep, $400+ worth of products for only $67. BoingVert Monster is an Intense 11 week, 4 phase weight lifting program based on eastern european training methods. 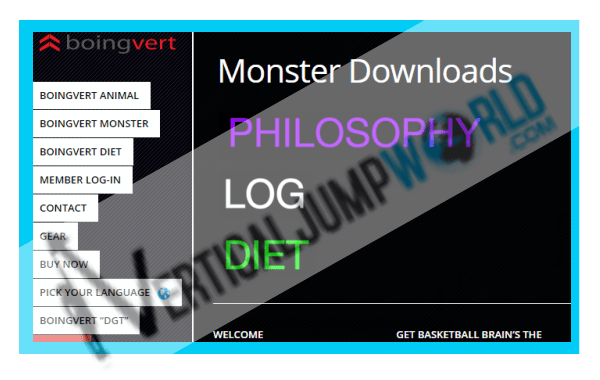 Like BoingVert Animal the Monster program also consists of a BoingVert pdf outlining the philosophy and a workout log. While undertaking our BoingVert review we were quite disappointed by the poor amount of theoretical information provided in the Monster pdf considering this is promoted as a scientifically based program. Monster also comes with a pdf outlining some helpful tips on how to lose weight and how this can help you jump higher. But again it only scratches the surface. Monster includes a range of helpful and well demonstrated exercise videos. Monster does a great job of prescribing a systematic and progressively overloaded jump training regime. The exercise demos are also great. However the lack of compelling and engaging features holds this program back from been able to compete with programs such as The Jump Manual. At the end of the day you will need to buy both Boing Vert Animal and Monster to see significant improvements in your jump height. Rather than spend $79 on a disjointed program you will be better off considering a polished all in one program. One of the best value for money all-in-one system is the Jump Manual. The author of the program Jacob Hiller has maintained his status as the world's leading jump trainer over the past 10+ years and has continued to develop the program. ​Perhaps in the future BoingVert can compete with the big dogs of the industry but unfortunately right now it falls short. The third option when purchasing BoingVert is the BoingVert lifetime option. Lifetime option does make Boingvert a much attractive purchase. The BoingVert App provides access to all exercise videos. This app is compatible with both Apple and Android. 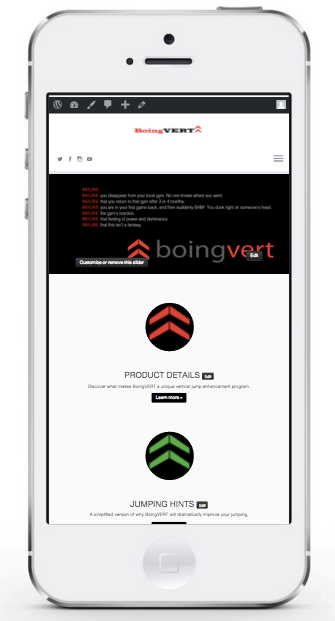 The BoingVert app allows you to monitor your progress with before and after testing logs. We love the fact that you can also track your workouts day to day. You can also directly access BoingVert support through the app. 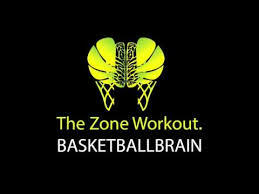 When you purchase BoingVert lifetime you get full membership to basketball brain. Basically this is an online sports psychology program that can help you get your mind right for basketball success. You will learn things like emotional control and how to develop supreme confidence. We give BoingVert a thumbs up, however the program still leaves a lot to be desired. Shawn Myszkas's BoingVert jump program is available for purchase as an instant download from the official website (See button below). All payments are processed through PAYPAL's secure payment system. UPDATE: Since the time that we published our BoingVert review we have received many questions from our readers regarding the BoingVert program. Therefore, to save time for the both of us we have decided to collate the most common questions we receive from our readers in the following F.A.Q list. Oh, and If you are viewing on a mobile once you click a tab the answer will be displayed below all tabs! Can I Still Get The $7 BoingVert Discount? Yes, we have seen the advertisements for the BoingVert $7 offer. It turns out that this is very old pricing as the introductory Boingvert system Animal is now $27. Where Can I Get A BoingVert Free Download? There is absolutly no point looking for a Boingvert free download. 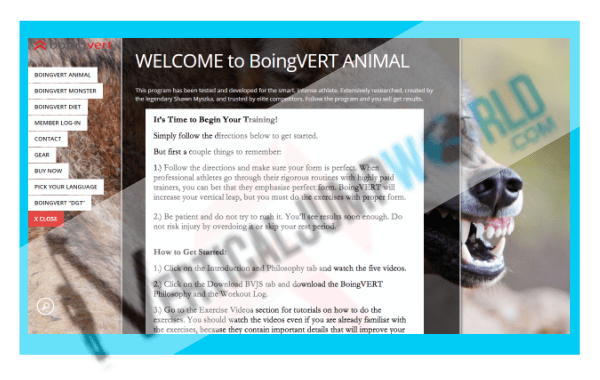 Even if you could get a copy of the BoingVert pdf it would make no sense as you wouldn't have access to the training videos and other resources. Is Boingvert worth it? Well that depends. The lifetime option provides peice of mind that you will get future updates. Unfortunatly as this is a new program it doesnt have the many years of development behind it like programs such as The Jump Manual have. If you are going to spend the money I would be more inclined to go with a highly rated program that can help you today. There are many people complaining online that they havnt recieved their BoingVert product email. It is these reports that make people wonder is Boinvert legit. We had no issues with the purchase process and can report that it is a legit business with active support team. Is BoingVert A Science Based Jump Program? Although the program is promoted as a science based program we wouldnt say that BoingVert is good at referencing as we would expect from a scientific based program.